LOVE LOVE LOVE!!! This might be my new favorite quilt that you've made. This turned out just awesome. what a beautiful quilt! I wasn't a fan of the Liberty fabrics until I saw this - they look lovely here. Enjoy the festival! Wow, 72 of those blocks? 5 nearly pushed me over the edge for a swap, you are a far greater woman than I! Beautiful results! 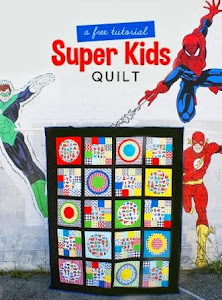 And while people fear adding black to quilts, it does add a lot of impact for just a small amount. Scrappilicous! Love this! 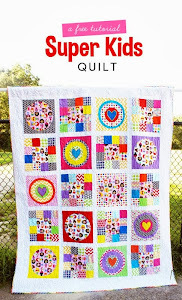 Your patience and persistence paid off big time with this gorgeous quilt. Lovely job! Great quilt! I am such a fan of this block. :) Wonderful use of your fabrics. Love your quilt, you are right about the black, it makes the whole thing zing. Beautiful! The quilting is just the right pattern for it too. Just such a lovely quilt!